SOMERVILLE, MA: The Bomas online marketing program has accelerated in recent times to include organic outreach to a variety of industries served by this machining of ceramics stalwart. As marketing has evolved so has Bomas. Pioneers in diamond tooling, Bomas has earned a reputation for precision and integrity since its founding in 1959. 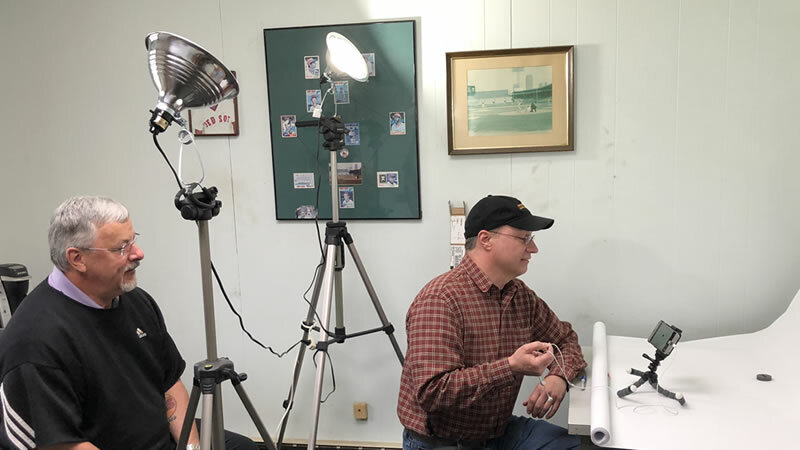 Joe Annese, Bomas president, shown above directing a recent ceramic materials photo shoot is (left) Joe Annese, Bomas President; with Eric Lammers owner of Krack Media, an online marketing specialist. Known as specialists in MOR Bars and Chevron Notch Specimens, Bomas has built a worldwide reputation for precision machining of all advanced ceramics and composite materials requiring a multitude of various machining techniques and skills. Bomas is also known for custom machined test fixtures made to exacting client specifications. Contact either Joe or Mark Annese of Bomas personally at 617-628-3831. 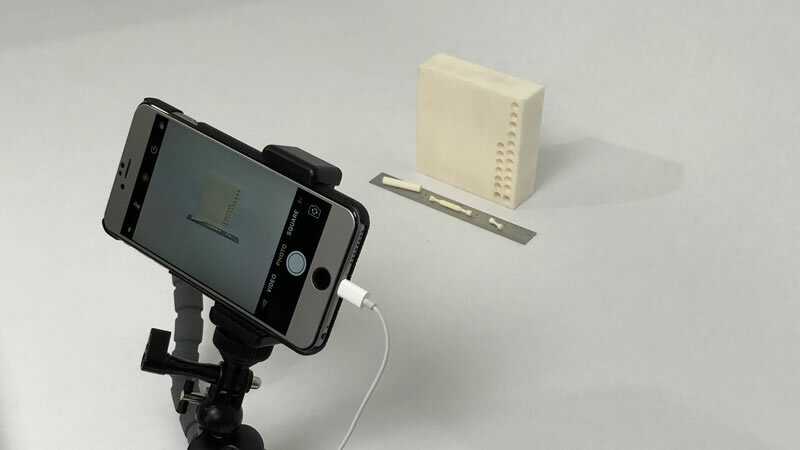 Tiny machined compression specimen from an alumina ceramic billet illustrates a process that includes a variety of Bomas precision skills.